It has been a beautiful month for reading outside! I love sitting outside on the porch in the late afternoons relaxing with a book while Buddy lays beside me, trying to snap bugs out of the air like a frog. That being said, I also NAILED IT with the audiobooks this month. I found that some of the kindle books come with downloadable audiobooks for audible for NO EXTRA COST. Audiobook hack: I (almost) always listen to my audiobooks on 1.25x speed. I find that 1.5x is usually too fast. I'm a fast reader anyway, so I find that speeding the reading up doesn't impact my comprehension, but it may if you're a slower reader. It doesn't shorten the listening time by too much, but I'm all about efficiency! I found these books listed as something readers of The Hunger Games might like, and I definitely agree! If you missed it in my last post, Kindle Unlimited is only $1.99 for three months for Amazon Prime users, and the whole Gender Game series is a part of this (which means you can read the whole series for only $1.99). JUST A HEADS UP! THE FOLLOWING SUMMARIES MAY CONTAIN SPOILERS IF YOU HAVEN'T BEGUN THE SERIES! Gliding over the treacherous Green in a shaky aircraft that she has no idea how to land, Violet Bates is still in shock. The harrowing events of the previous night play over in her mind as she asks herself question after question. Why did Lee Desmond Bertrand behave the way he did? What is the truth about the mysterious silver egg stowed beneath her seat? What happened to Viggo and where is her brother? Is either of them still alive? When Violet manages to reach the toxic ground alive, she has landed in a world of unimaginable danger. She has barely time to catch her breath before she is sucked into a perilous journey at breakneck speed - to uncover secrets guarded for centuries and find the only two people that matter. "I'd want you to help me win a war...." After discovering the shocking secret buried deep within The Green, Violet has a grave decision to make. Trust the woman who saved her, or not? So far, everything about the woman has taken Violet by surprise. Her behavior has been honest and upfront - a refreshing change for Violet. Besides, with one of her loved ones hanging on life support and the other close to falling completely out of reach, Violet doesn't exactly have a lot of choice. Her only way forward is to embark on a dicey excursion. For this, she knows, she needs the Liberators' help - and must be prepared to take whatever risks that come with. But what neither she nor any of her new Liberator comrades can prepare for is just how deep the lies of their homelands run.... Continue Violet and Viggo's journey in the explosive third book of the best-selling The Gender Game series. Overall, I enjoyed the series, but it was definitely too long. Each book was roughly 400 pages and probably could have been shortened to half that and compacted into three or four books. I would be interested to see this on screen as a Netflix series! I listened to this on audiobook and it was SO GOOD. You know when you read a book and after you finish, you just want to know what happens to the characters as they grow up? I felt like this book did that. It gave enough flashbacks into Scout and Jem's childhood, but also discussed Scout's life as a 20-something and the historical events that were taking place. I started this right after listening to a podcast on Rosa Park from Stuff You Should Know which was kinda perfect! Also Reese Witherspoon narrates the audiobook, but I was unsure as to whether I would like, but she did a fabulous job! On July 31, 2007 Federal Court Judge A. Jay Cristol awarded the Goldman family the rights to If I Did It. Thus began one of the strangest odysseys in publishing history. The book, called “one of the most chilling things I have ever read” by Barbara Walters, skyrocketed up bestseller lists across the country in fall 2007 as the national media relentlessly covered O.J. Simpson’s dramatic Las Vegas arrest for armed robbery and kidnapping. Originally written by O.J. Simpson, this edition includes essays by the Goldmans and a member of the Goldman family legal team that reveal the fascinating story behind the bankruptcy case, the book’s publication and the looming court proceedings, that would eventually lead to his conviction. In 1994, Ron Goldman and Nicole Brown Simpson were brutally murdered at her home in Brentwood, California. O.J. Simpson was tried for the crime in a case that captured the attention of the American people, but was ultimately acquitted of criminal charges. The victims' families brought a civil case against Simpson, which found him liable for willfully and wrongfully causing the deaths of Ron and Nicole committing battery with malice and oppression. In 2006, HarperCollins announced the publication of a book in which O.J. Simpson told how he hypothetically would have committed the murders. In response to public outrage that Simpson stood to profit from these crimes, HarperCollins canceled the book. The Goldman family views the book as his confession, and has worked hard to ensure that the public will read this book and learn the truth. This is O.J. Simpson's original manuscript, approved by him, with up to 14,000 words of additional key commentary. This book was so good, but in a very creepy, eerie way. I picked this book because though I knew OJ Simpson was acquitted for a murder in the 90s, I had no idea what the details were because I was only three years old when it happened. This manuscript is a confession; there is no ifs, ands or buts about it. I also enjoyed the commentary before and after the confession, er..."fictional story." I didn't know anything about the craziness the ensued over the publication of this book. I read this whole thing in one night, so that tells you how immersing this story is. When Alice was ten, Ray took her away from her family, her friends -- her life. She learned to give up all power, to endure all pain. She waited for the nightmare to be over. Now Alice is fifteen and Ray still has her, but he speaks more and more of her death. He does not know it is what she longs for. She does not know he has something more terrifying than death in mind for her. This is Alice's story. It is one you have never heard, and one you will never, ever forget. I sort of feel bad for giving this two stars, but it lacked substance. That being said, it is definitely written for teens, and about a really tough topic, so I can see why the author didn't dig too deep. I may have preferred this book when I was in high school, but definitely not as a twenty-six year old. It’s always hard for me to listen to audiobooks when they’re read in a non-Midwest accent, and this one was no different. Since the story was set in England, it made sense that the narrator had a British accent, but it was so distracting to me. 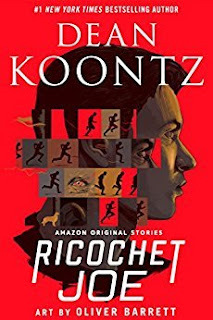 It took me awhile to get into the story (perhaps because of the accent thing) and it wasn't incredibly suspenseful, but it was a good story with an unexpected ending. I Am Watching You is available for free with Kindle Unlimited and has an audiobook option. At the beginning, I was disappointed in this story as an audiobook because the narrator was an incredibly monotonous reader. Her narration did improve as the story went on, however. I liked this story as a mystery, but there were two very graphic sexual encounters that seriously did not fit in the story. It felt like the author tried to make this a romance mystery, but didn't know how to smoothly incorporate the romance. This book is available for free with kindle unlimited and comes with an audiobook option. I love a good suspenseful mystery, and this book was just that. Until the very end, I was guessing who the real killer would be. There was enough going on to keep my interest throughout the story, but not so much so that it was distracting. This book came free with Kindle Unlimited, and came with the free audio version. Can an ordinary guy make extraordinary choices in a battle between humanity and unearthly evil? Joe Mandel is a perfectly ordinary guy from a perfectly ordinary town—a college student and community volunteer who dreams of one day publishing a novel. When a series of strange intuitions leads him to a crime in progress, Joe jumps headlong into danger without hesitation. In the aftermath, he wonders about the uncanny impulse that suddenly swept over him. Until new friend Portia Montclair, the strangely wise daughter of the local police chief, explains to him what sent him ricocheting around town like a crazy pinball. Portia tells of another reality, a reality more thrilling—and terrifying—than Joe ever imagined. Timeless, elemental forces of good and evil have come to the quiet town of Little City: a cosmic entity capable of infecting human beings, and the seeker who has chosen Joe to find it. To stop the malevolent invader, this average Joe must be braver than he ever thought possible…and face the hardest decisions of his life. I have been a HUGE fan of Dean Koontz since I read my first book by him the summer after I was in eighth grade. They're always so weird and bizarre but in the best way. I did not care for this story, not because the story line was bad, but because it was too short. This was the first novella I read and I found that I do not care for short stories. I love books that have a lot of substance to them which novellas don't. If you are into shorter stories, you can get this one for free with Kindle Unlimited, which also comes with the audio version of it. The audiobook was just short of two hours long.